Hello, People. 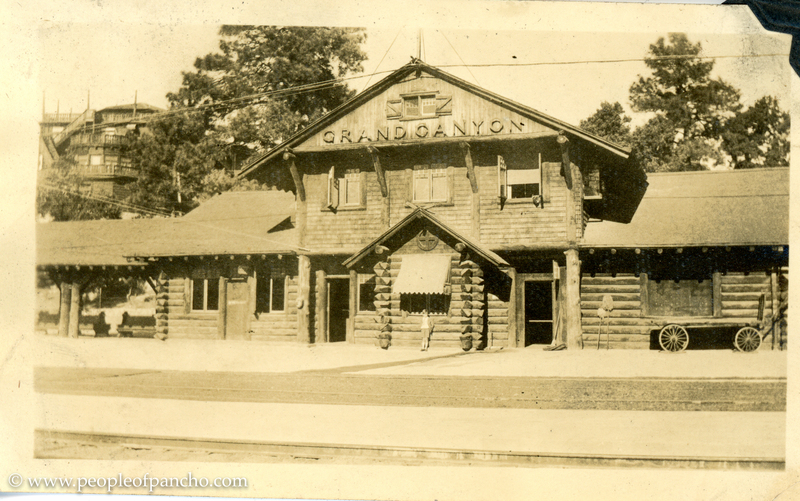 This post wraps up the Lessiack family travels through New Mexico, Northern California, Southern California, and into Arizona, where they ended their trip by visiting the Grand Canyon in December of 1927. 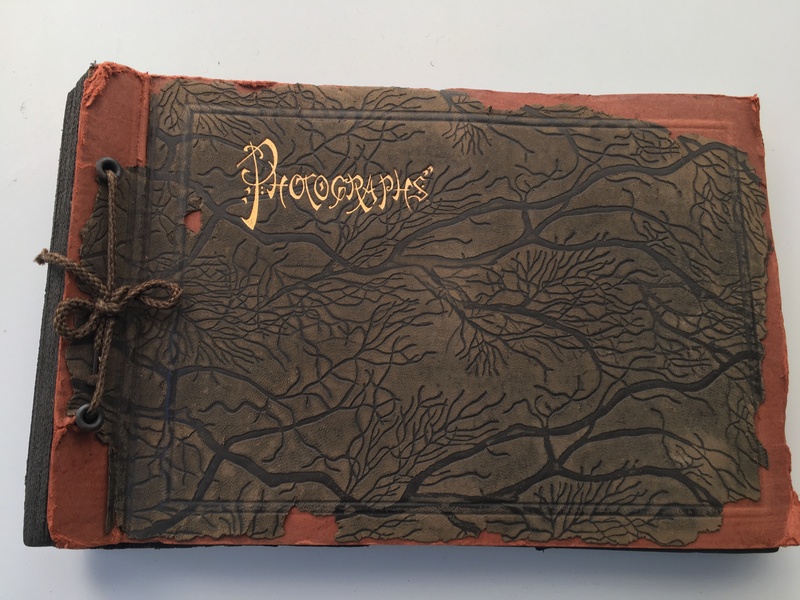 All of the photographs in this post came from the same beautiful but fragile old black paper album, and my great-grandma Margaret very helpfully provided captions for most of the images. The album ends rather abruptly with the following images, so I’m not sure how the Lessiacks traveled home or what sights they encountered along the way. Given that they lived in Bogota, New Jersey, it seems like a rather long stretch of the journey to leave out, but I’m grateful for what I’ve got. 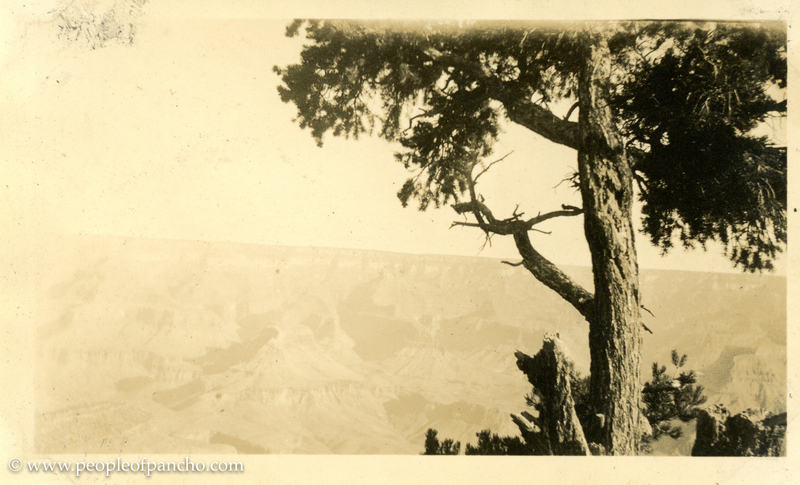 “Grand Canyon, Arizona, Dec. 2, 1927.” I don’t know if this is where they lodged, or if maybe it was the visitor center. 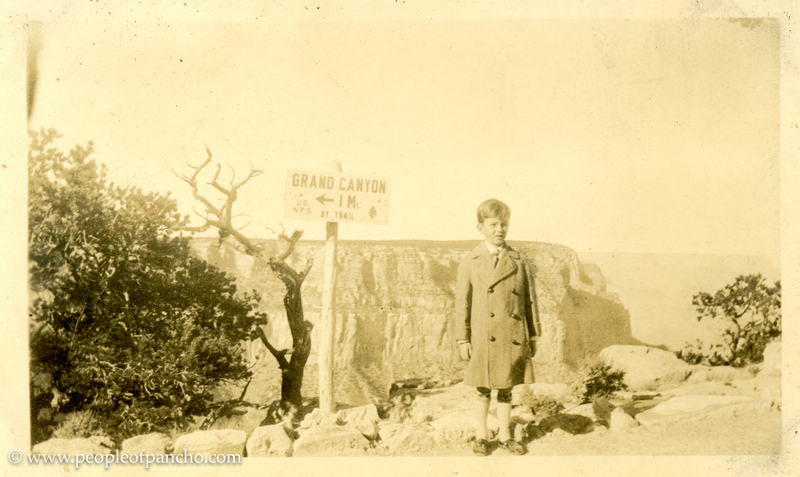 “Grand Canyon, Arizona, Dec. 2, 1927.” The one time I visited the Grand Canyon it was blazing hot, but in December it is probably quite chilly. Grandpa Bob’s coat looks a few sizes too big for him, probably to give him room to grow. Not included in the album is this photo, also from 1927, which I have scoured for faces I recognize. I’m forced to surmise that my Grandpa Bob might be the little boy standing on the far left with the striped shirt and the blurry face, but that is just a wild guess. It’s possible that he’s not pictured at all, since the back of the photo says, “January 1927 – Virginia Dusenbury,” whoever she is. 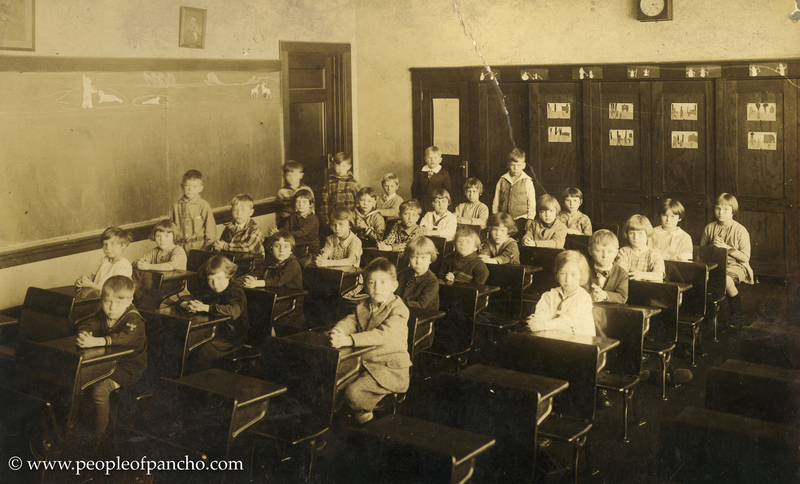 Nonetheless, it’s an interesting glimpse into a primary school classroom in 1927. I’m fascinated by how every little girl pictured has basically the same haircut. The bob with bangs was on trend that year, it seems. In other news, RootsTech 2018 happened last week. I wasn’t able to go this year, but I do hope to go next year — it’s already on my calendar. As both a tech nerd and a genealogy nerd, it seems like it might be my happy place, no? I was delighted to learn that WordPress, who was one of the sponsors of the convention, featured my blog this year. If you found me that way, welcome! Please leave a comment and tell me about your experiences at RootsTech. What did you learn, and what were your favorite and least favorite things about the conference? Until next time, dear People. Thanks for visiting. Love the post! A few thoughts—the Grand Canyon hasn’t changed, but I bet that lodge has. It sort of looks like the main lodge where there is a hotel and restaurants today, but obviously not the same structure. As for the classroom shot, that could have been my classroom when I was in elementary school in the 1950s and 1960s—classrooms didn’t change much between 1927 and 1957, but they sure have changed a lot since then! Congratulations on being featured at RootsTech—how did you find out? That is very cool. I hope it inspires you to keep on blogging!! Thanks, Amy! Someone from WordPress wrote and asked permission. I have no idea how or where it was featured, but it was definitely a nice shot in the arm. Re the classroom, I hope there was at least some variation in hairdos. There sure is today, and I think variety is much more fun. 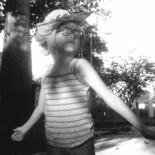 I actually think I had that hairdo in at least second and third grade…maybe even longer! Good morning Panch. As I recall, both you and your mom cut your hair that way. . . . a long time ago. It’s kind of like wearing uniforms to school. It takes the drama out of getting dressed for school. These page boy cuts forced us guys to look deeper into the lovely personalities under those cuts to discover their real beauty, as they were compelled to do the same with us and our parted-to-one side coiffures. The boy in the back with the best on looks like little Johnny Lessiack . . . to me. your uncle. Just commenting that boy of 1927 looks like John. . . . to my old eyes. Ahh, now it makes sense. Yes, Lew you have great old eyes. Johnny Lessiack. Wow, I don’t see that resemblance at all. How funny. It is for sure not Grandpa Lessiack! The photos are so wonderful. And that album!!! A wealth of treasures. Rootstech does sound fun! I just got back from the AWP, the largest literary conference in North America. I am so over travel right now, but I might feel energized by next year ;)! But it would be fun to have a readymade buddy there! That also sounds fun. I have several friends who went. Very cool! I didn’t stay the whole time, but it was very productive going to what I did go to. I did a poetry reading for a small press, signed Kin Types at the publisher’s booth, and went to several interesting sessions. Best of all, I got to hear poet/writer Joy Harjo talk for the second time this year. 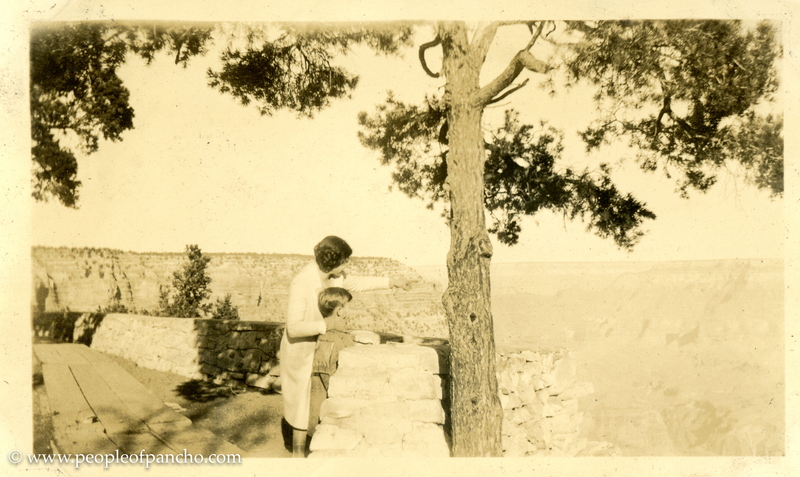 It’s fun to see what the amenities looked like at the Grand Canyon in the 1920’s. It sure is an awesome natural wonder – both then and now. I didn’t comment when I read this a few weeks back, but I also think the kid in the back looks like a young John Lessiack. Weird. As a teacher, what I mostly notice about the classroom photo is the bleak lack of a smile on any face. Today, we urge our photo subjects to say “cheese” in the hopes of inspiring a smile. What did this photographer/teacher say or not say? The Grand Canyon pics make me remember our family going there with my dad when I was a teenager, and he was all grown up. The cycle of life, no? Yeah, those kids look pretty grim! 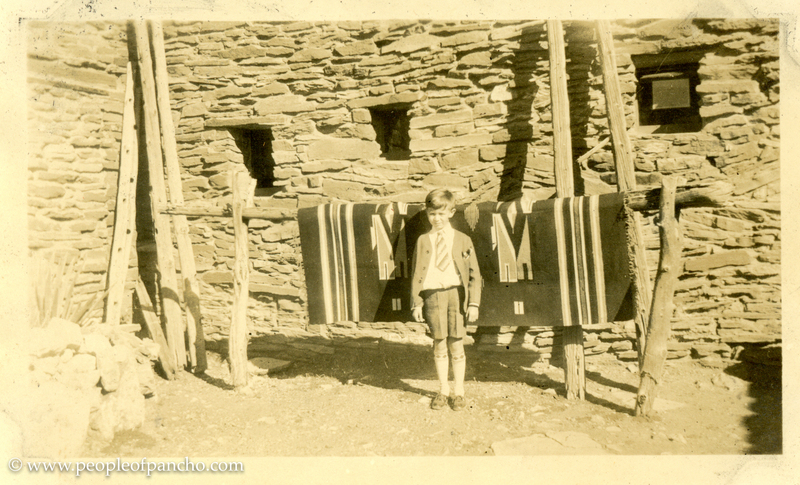 This entry was posted on March 8, 2018 by Pancho in Lessiack People, Spielmann People and tagged 1927, family archive, Family Archivist, family historian, Franz Georg Leopold Lessiack, Geneabloggers, genealogy, Grand Canyon, Hopi House, Margaret Spielmann Lessiack, Robert Lessiack, Virginia Dusenbury.